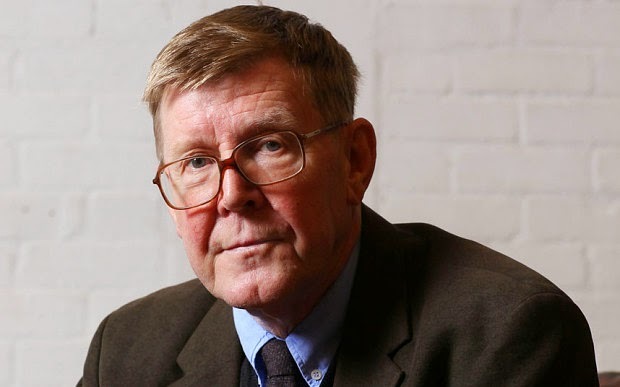 Alan Bennett has revealed that he enjoys watching "rubbish" on television and is a fan of Midsomer Murders, Family Guy and ''maybe the first Big Brother''. The playwright, 80, is about to have a play, Denmark Hill, premiere on radio for the first time. He said that he and partner Rupert Thomas ''probably (watch) more rubbish than we should''. Quotes lovingly lifted by the Daily Telegraph (and me). Alana B's play Denmark Hill will be broadcast by the Home Service on Saturday. He says he can't be arsed working with people in television anymore as they're a load of idiots.